Howie Mandel, who acquired the Montreal-based JFL last year in partnership with an L.A.-based talent agency, promised good things for the Canadian comedy scene as a result of the new channel format. Did you hear the one about the Canadian comedy satellite-radio channel that changed its format, dropping “Canada” from its name, and then promised it would strengthen the reach of Canadian comedy? The punchline, according to many Canadian comedians, is not at all funny. The controversy involves a satellite-radio station on SiriusXM Canada that airs comedy routines. Canada Laughs was marketed as “uncensored Canadian stand-up, sketch, improv and music.” But last week, some listeners noticed a change. Suddenly, the station was playing a great deal of material from Just For Laughs (JFL) festivals. When word got out in the comedy community that JFL would be programming the station, some Canadian comedians became frantic with concern. The station has been a consistent venue for Canadian stand-up material, and playing JFL content would mean less room for their work. The release said the station will offer a mix of stand-up recorded at JFL events and “premium content from independent comedy albums.” In an interview on Monday, JFL president Bruce Hills and John Lewis, SiriusXM Canada’s senior vice-president of programming and operations, told The Globe and Mail most of the material on the channel will be Canadian. They were not able to say how much of the content would come from JFL events and how much would be independent. “The content that will be played will fluctuate based on the quality of what’s available,” Mr. Hills said in a conference call with Mr. Lewis. They confirmed that JFL was asked to partner with SiriusXM to draw a larger audience, and attract and retain subscribers. “We thought this was a good news story. We were endeavouring to create a fantastic new channel," Mr. Hills said, adding that he was sorry the information got out the wrong way and upset people. Some Canadian comedians worry that the royalties they receive when their material is played on the channel through SoundExchange, a collective rights management organization, will decline. “For some people, it’s their primary source of income,” said Sandra Battaglini, a comic who founded the Canadian Association of Stand-up Comedians (CASC) a year ago. Since last week, she has been hearing from comics who are concerned they will not be able to make ends meet. CASC is holding a town hall about the issue in Toronto on Tuesday. Jonathan Simkin, whose Vancouver-based label 604 Records has a comedy division that includes artists Charlie Demers, Kevin Banner and Yumi Nagashima, called the development “absolutely devastating” to the Canadian comedy community. 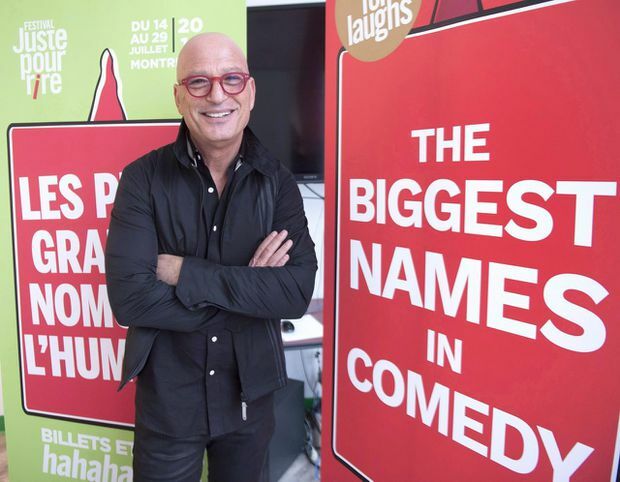 But comedian Howie Mandel, who acquired the Montreal-based JFL last year in partnership with an L.A.-based talent agency, ICM Partners, promised good things for the Canadian comedy scene as a result of the new format. “If anything, this is going to strengthen the reach of Canadian comedy,” he said in a Facebook Live video posted late Sunday. Mr. Mandel said SiriusXM asked JFL to come in. “They approached us because they wanted to retool that station … and when networks want to retool things, it means they’re not totally satisfied with how their customers are receiving it,” said Mr. Mandel, who is from Canada, his voice echoing through what appeared to be a large home, with a large spiral staircase and a baby grand piano. “Canadians will still be involved and independent comedians will still be involved. And everybody and everything that is programmed on that station will be receiving a royalty,” he said. He seemed to imply the station might not have continued to air comedy had JFL not stepped in. “This is an asset to every Canadian comic because I promise you this was going away,” he said. Some comedians were not impressed with Mr. Mandel’s video. Mr. James called it “a patronizing speech from his marbled mansion” in Los Angeles.